Fractional ownership offers many families a way to have the vacation home of their dreams. The price of prime recreation property can easily exceed $1,000,000 or more. Add $1200 to $2500 per month on taxes, insurance, power, propane, phone, internet, landscaping, and house cleaning for limited use, and it simply doesn’t fit into the family budget. An investment in fractional ownership can whittle those costs down without compromising on quality. Canyon River Ranch, a 37-acre year-round destination resort just two hours from Seattle and 13 miles south of Ellensburg, offers opportunities for this kind of fractional ownership. 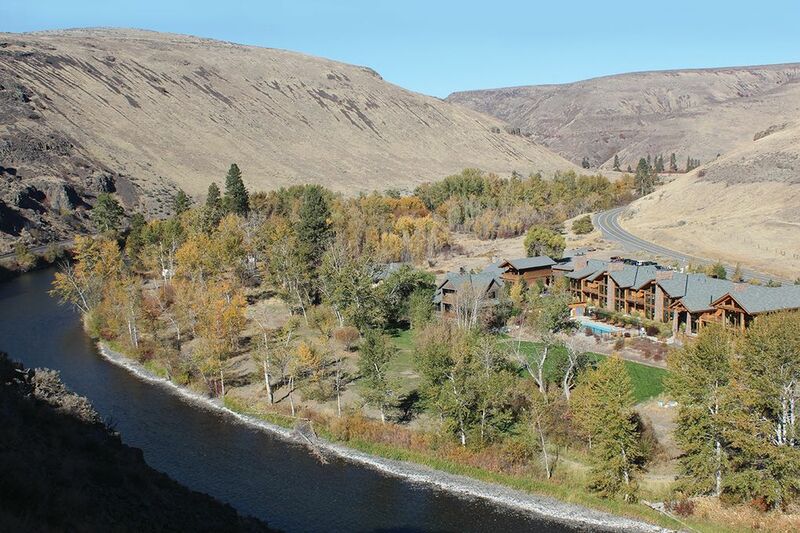 Built on the banks of the Yakima River in one of the most scenic canyons in the lower 48, Canyon River Ranch is a true oasis, with a total of 10 condos, a lodge and 20 cabin sites adjacent to Red’s Fly Shop and Canyon River Grill. It offers families, friends and businesses four seasons of adventure and relaxation. Canyon River Ranch is evolving into one of Central Washington’s premier destinations to enjoy fly fishing, scenic rafting, sporting clays, hiking, casual dining, wine tasting, special events and more. “On any given weekend, we have guests and owners who are fishing, floating, hiking, wing shooting, wine tasting, going to concerts or just plain relaxing with their families,” owner/partner Steve Joyce says. Fractional ownership is exactly what it describes. You and a few other like-minded buyers and families share ownership of your dream vacation home at a fraction of the cost and without any of the management responsibilities that go hand in hand with owning your vacation getaway. Look at it this way: A three-layer dark chocolate cake may look delicious but it doesn’t make financial sense to buy the entire desert if you are only going eat a slice or two. However, if you split or “share” the cost among several buyers and ensure that everyone gets a slice, then buying the whole cake, or in this case recreation property, makes total sense. That’s fractional ownership in a nutshell. Owners agree to share in the costs, usage and return on investment in order to buy their dream home in an extraordinary setting that otherwise might be too costly to purchase. So, for instance, while full ownership of a cabin at a premium resort may be out of many people’s price range, fractional ownership of a lodge unit offers an affordable option without compromising your wish list. A handcrafted riverside lodge complete with soaring exposed post and beam ceilings is one of Canyon River Ranch’s signature amenities. Boasting a grand great room, full service kitchen, and adjacent breakout rooms, the lodge offers an exclusive option for corporate retreats, wine tastings and special events. Two floors of 10 tastefully appointed two-bedroom condominium suites, all with fabulous river views, are available for nightly lodging or fractional ownership. 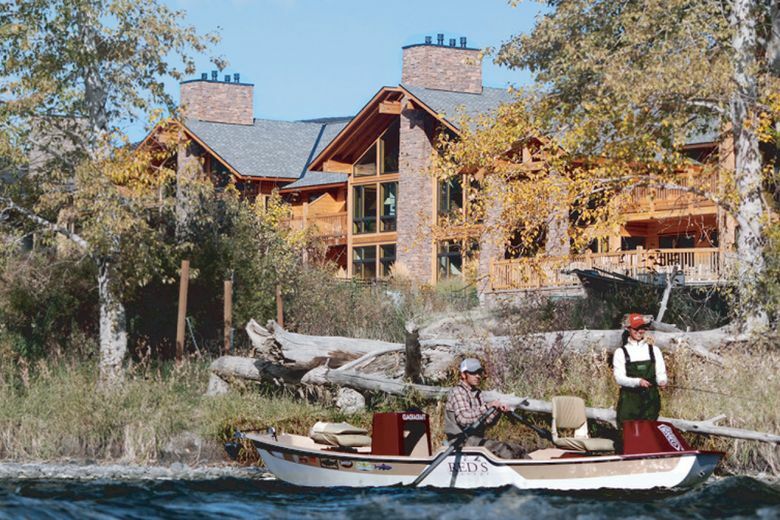 “Canyon River Lodge is unique because in addition to booking nightly or extended stays, we also offer our 10 lodge suites for sale as fractional interests with just six interests in each suite, sixty in all,” Joyce says. Each 1/6 interest provides owners with 56 days and nights of use per year. Ownership interests can be resold, shared or gifted just like any other deeded real estate. Each owner receives a fee-simple deeded fractional interest in one suite and shared ownership in the lodge and community common areas. Another plus, Joyce says, is that while ownership applies to a specific suite, owners may also reserve any of the lodge suites or use in combination to accommodate family, friends, colleagues and clients. 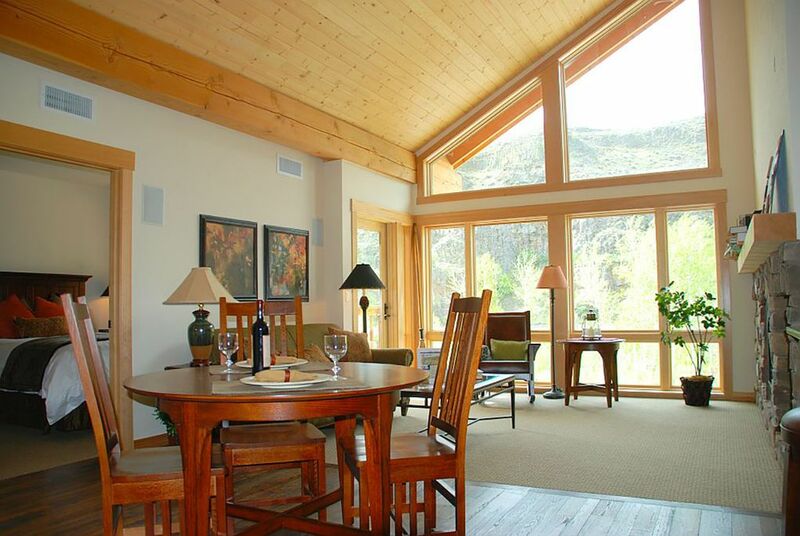 At Canyon River Ranch, fractional ownership is also an option at a selection of private cabin sites. With just 80 total owners (60 lodge shares and 20 cabins), Canyon River Ranch is a small community, where owners can enjoy the peaceful solitude of the Yakima River Canyon, the amenities of the scenic property and a sense of camaraderie. Buyers interested in fractional ownership should do their homework before jumping in. Research the location, and stay there for a few test vacations if possible. Find out what kinds of fractional ownerships are available, and how many nights per year each allows you to use. Can they be swapped, traded or rented out? How much flexibility is there when it comes to scheduling? Are there monthly ownership dues? Other fees? Other benefits? Canyon River Ranch offers one of the best values in recreational property. With just eight cabin sites and about 30 1/6 fractional interests in the lodge available for purchase, it’s a limited opportunity. Visit to learn more now!